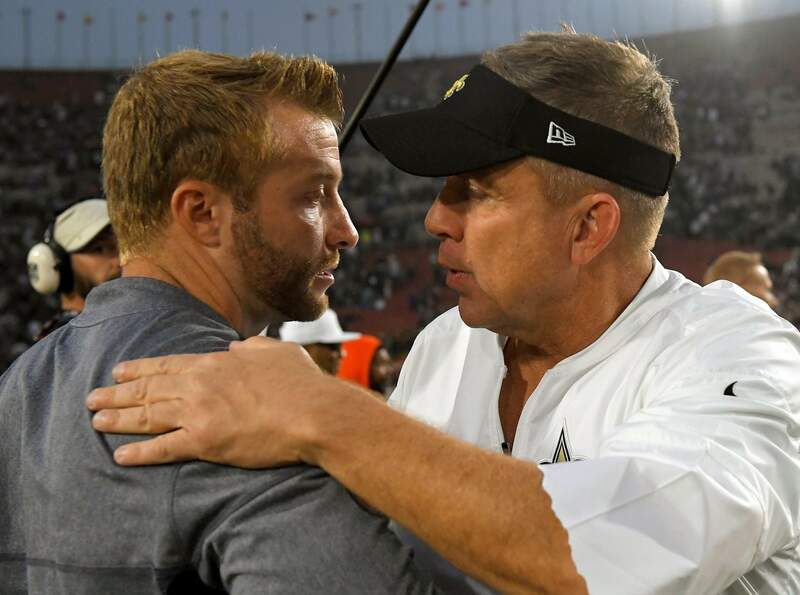 Los Angeles Rams coach Sean McVay, left, greets New Orleans Saints coach Sean Payton after a 2017 game in Los Angeles. The Rams and Saints will play in the NFC conference championship on Sunday in New Orleans. New Orleans Saints head coach Sean Payton will match up against Los Angeles Rams head coach Sean McVay in Sunday’s NFC Championship. 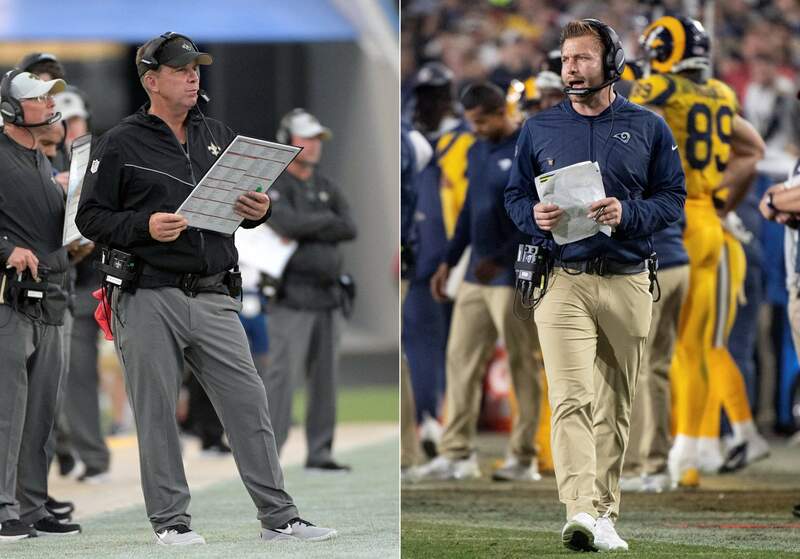 NEW ORLEANS – One way or another, the NFC Championship between the Los Angeles Rams and New Orleans Saints will be won by a coach named Sean – with an Irish surname – who designs and calls plays for one of the most innovative and productive offenses in the NFL. During the past two seasons Payton and McVay have each led their teams to the playoffs with one of the best offenses in football, thanks in part to elite quarterbacks – Drew Brees with New Orleans (14-3) and Jared Goff of Los Angeles (14-3). Both coaches have acknowledged they watch each other’s offensive film nearly every week – not just because of the possibility of playing against one another; they’re looking for good ideas.